« British Terrorists in Bombay? Humbled by this, I began to investigate the source. Mr. Harris was good enough to link the ICSC in his comment and I promptly clicked the link. Hallelujah! I am not alone. 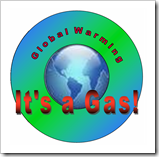 I will provide links later for anyone who is interested in gathering some well needed ammunition to throw back at the greenies and feel it may be prudent to inject some common sense into the argument concerning Anthropogenic Global Warming. The site itself is well presented and hosts a mine of information and references. One should take the time to read the “About us” section. The list of credentials is surprisingly long. Personalities are also linked to their own websites and, in some cases, CV’s. Download and read it. Then investigate the rest of the site. It really sticks it to the failing IPCC pointing out not only errors, but downright lies as well. Al Gore, your nemesis is here. My thanks to Mr. Tom Harris for enlightening me and for his astute comment on my post. This entry was posted on November 30, 2008 at 9:05 pm	and is filed under Generic, Global Warming. You can follow any responses to this entry through the RSS 2.0 feed. You can leave a response, or trackback from your own site.